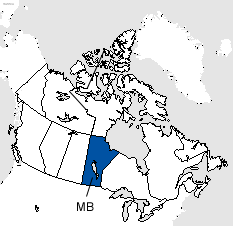 Manitoba is currently using two area codes. Area code 204 was put into service on 01/01/1947 and covered the entire province of Manitoba. Effective 11/03/12 area code 431 was put into service as an overlay of area code 204. Area codes 204 and 431 now server all of the province of Manitoba. Ten digit dialing became mandatory on October 20, 2012. Ten digit dialing (area code + seven digit number) is necessary in the 204/431 overlay because two different homes in the same geographic area can have the same seven digit phone number but each would have a different area code. Area code 204 was put into service. Area code 431 was put into service as an overlay of area code 204.